1 Mark Twain's most famous novels, Tom Sawyer and The Adventures of Huckleberry Finn, are set in Missouri where he grew up, but Twain didn't always live in Missouri. He lived for a time on the East Coast and also for a time on the western frontier. His novel, Roughing It, takes place on the frontier. 2 Mark Twain had gone west after the Civil War. There he became a reporter for the Virginia City Territorial Enterprise, a Nevada newspaper. 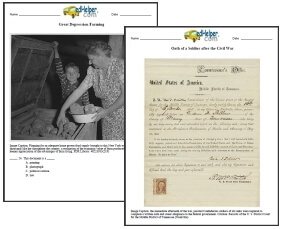 He filed reports each day on the colorful happenings in Nevada's mining towns. His reports told about the wild events in the boomtowns in a style that sounded like everyday conversation. He liked to exaggerate and add a little humor, too. 3 He became a popular writer and soon was traveling and writing about the places that he visited. Readers couldn't wait to see what he would say next about each place he visited. 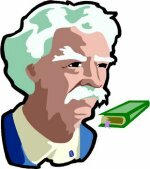 Feedback on Mark Twain: "Roughing It"